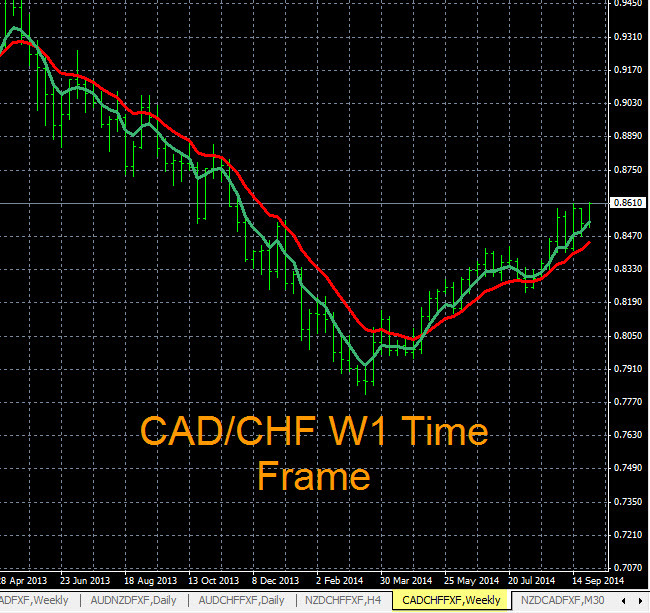 The CAD/CHF is trying to form a new down trend on the D1 time frame. The chart image is shown below. Traders can set a price alert at 0.7365 for a potential sell on this pair. When the alert hits check The Forex Heatmap® for trade entry verification. Since the trend is forming and new, the overall pip potential is strong as there is no nearby support levels below the alert price. These simple trends charts are 5/12 exponential moving averages that can be applied to multiple time frames. 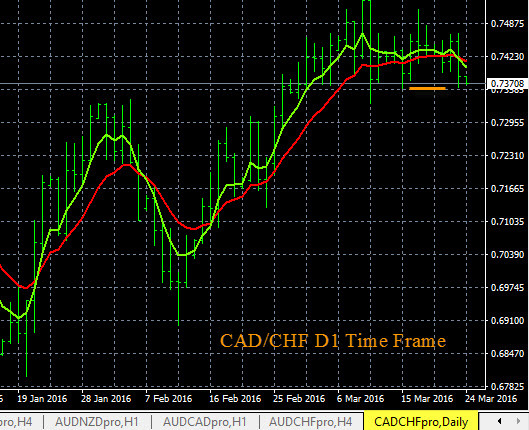 Traders can use these trend indicators for the CAD/CHF or any other currency pair, we trade 28 currency pairs at Forexearlywarning. 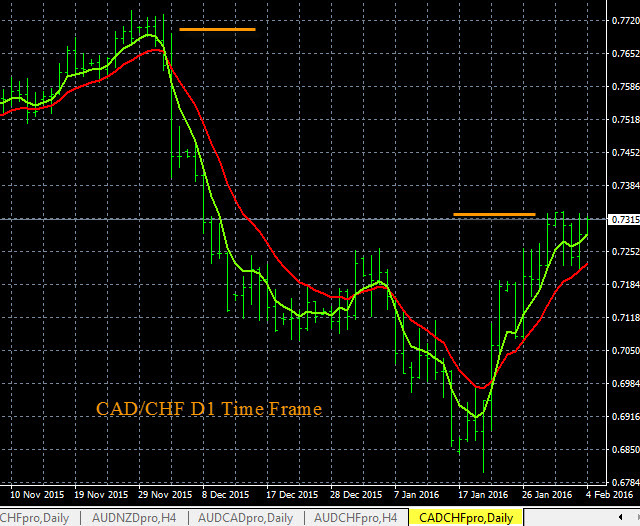 The CAD/CHF is trending higher on the D1 time frame. The chart below shows the D1 time frame on this pair. Traders can set a price alert for a buy at 0.7330 on this pair, as noted by the yellow line. When the price alert hits, you can check The Forex Heatmap® for a confirmation buy signal. 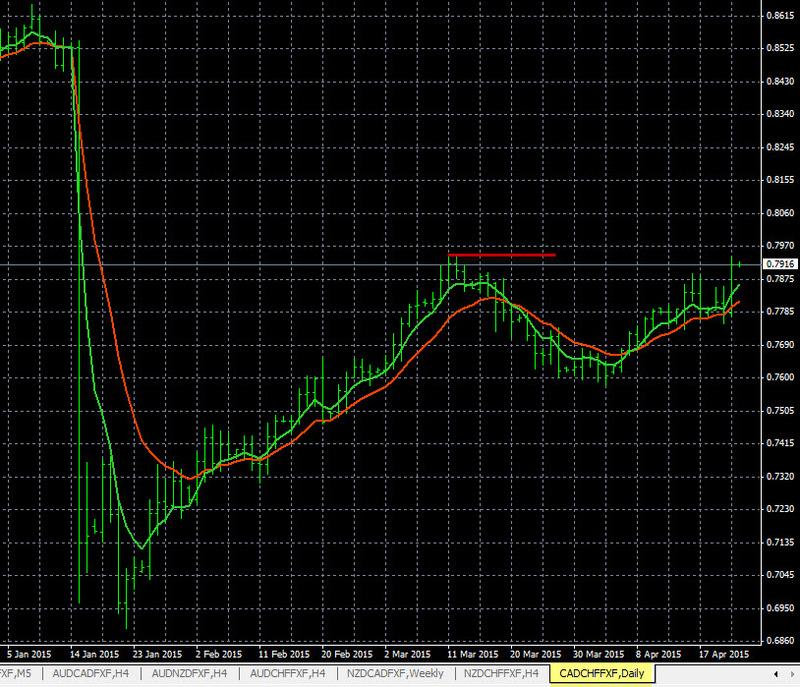 The upside pip potential is very good, to as high as the 0.7700 area, as noted on the chart. 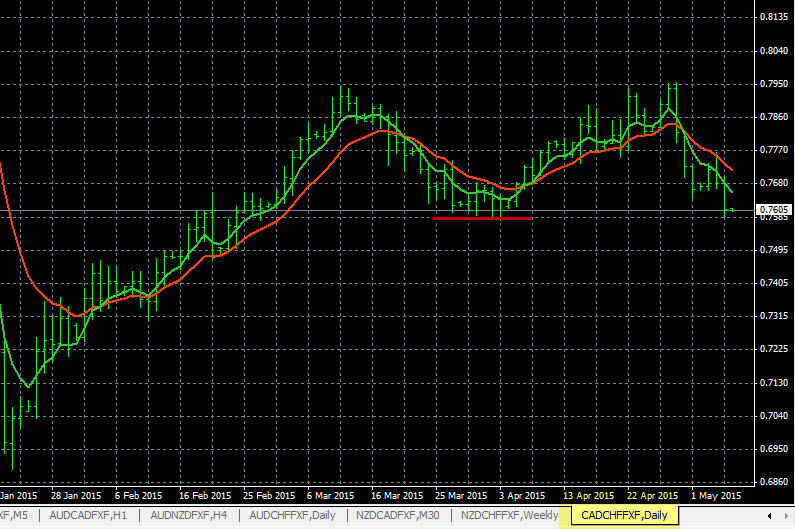 This is about 370 pips of upside potential from here, which is excellent money management ratio. The chart analysis was performed with multiple time frame analysis by individual currency, we use multiple time frame analysis, then apply MTFA to groups of individual currency pairs like the CAD pairs and CHF pairs to perform the analysis. The trend indicators are 5/12 exponential moving averages.